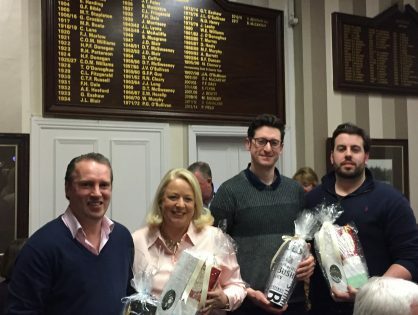 On February 22nd a table quiz was held in the club, half the proceeds of the quiz went to Marymount Hospice, while the other half went to the Club Social Fund. The table quiz was fully booked and was won by Kevin McCarthy’s team alpha. A huge thank you to the Social Committee for their organisation and John Coulter who was an excellent quizmaster on the night.